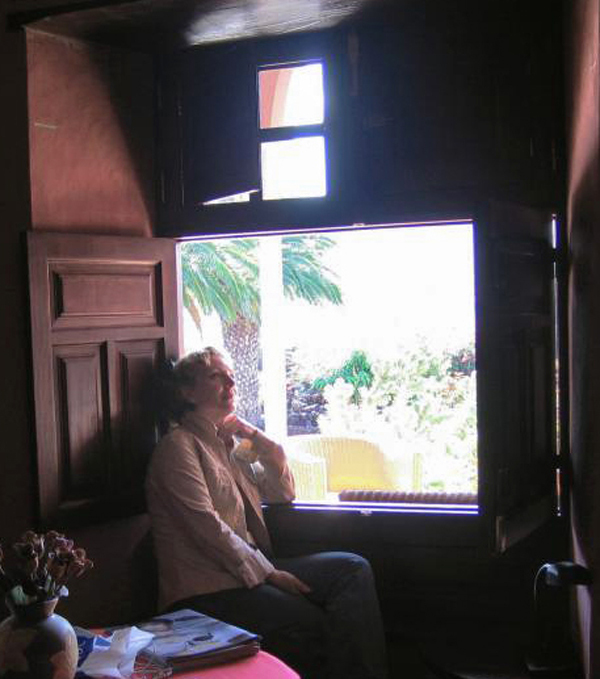 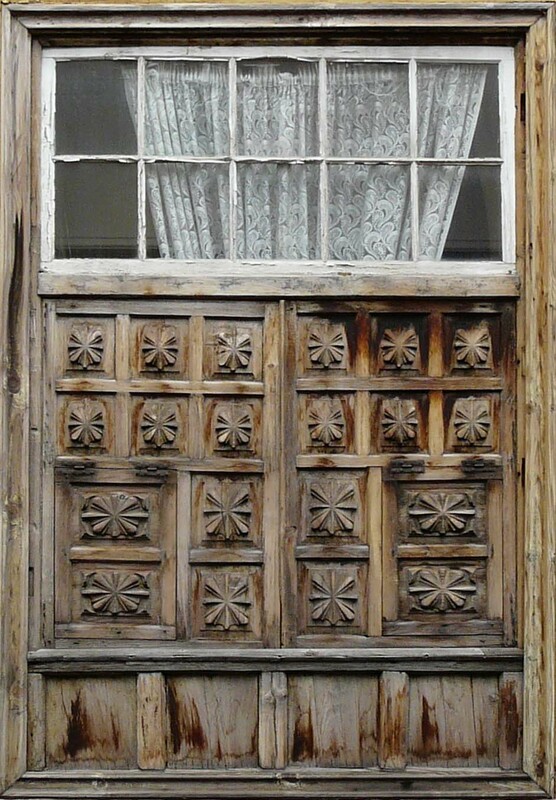 The traditional window of the Canary Islands offers some wonderful examples of fragmentation of the woodwork to get the best comfort conditions in a warm climate. 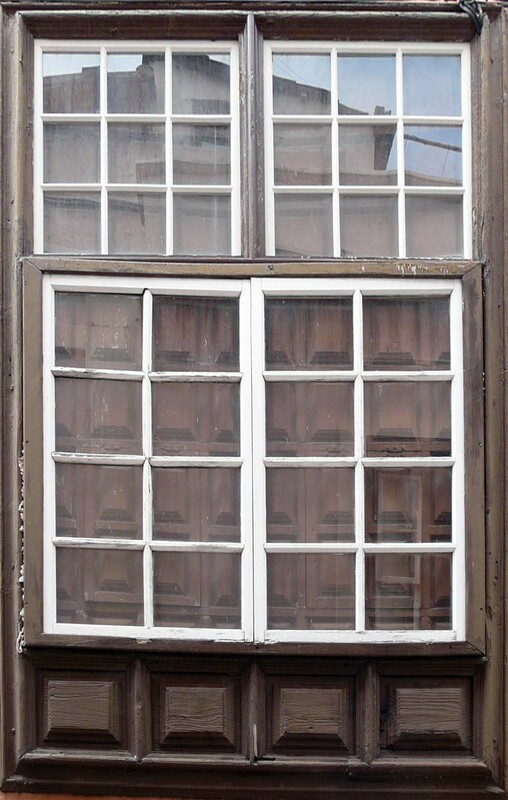 We can distinguish three overlapped bands on this kind of windows. 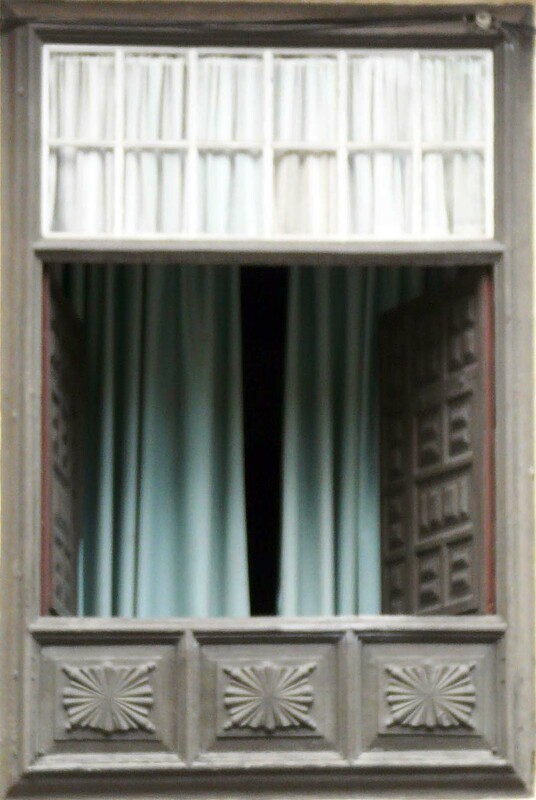 The top stripe is dedicated to ventilation and lighting, the central one is dedicated to privacy, and the bottom is always fixed and opaque to form a support to the inner furniture, generating a space where the wall is thinner and the user can easily see the street. 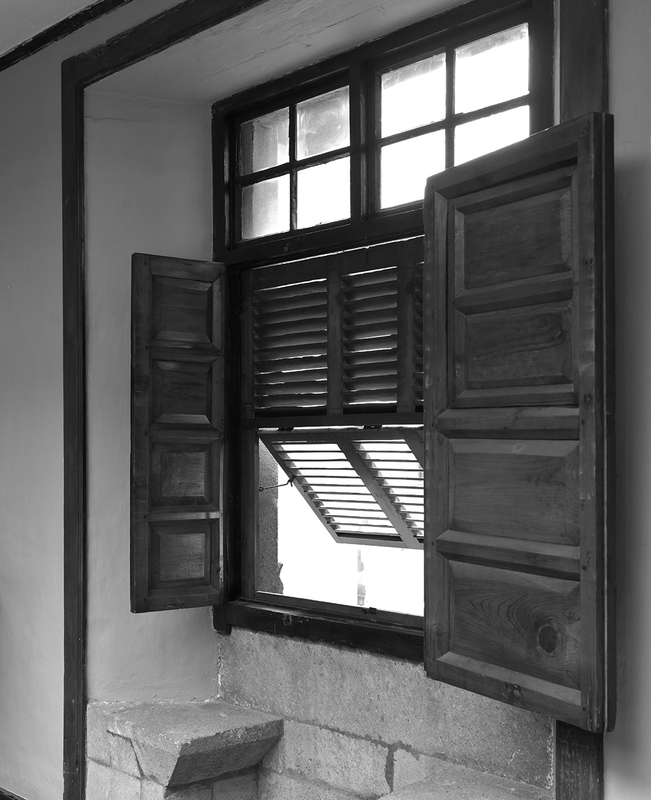 Probably the first windows were opaque, except for the top band that guaranteed continuous lighting and ventilation, especially with a grid. 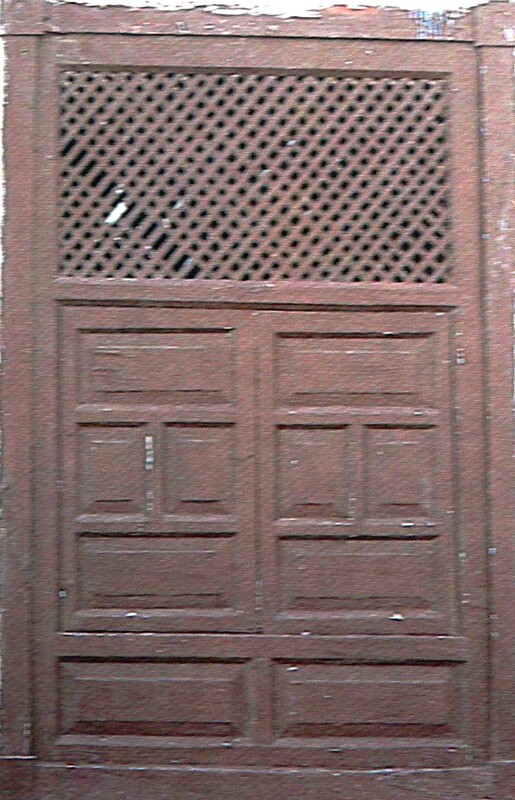 While in other more elaborated cases the central part may also have lattices and even nested windows. 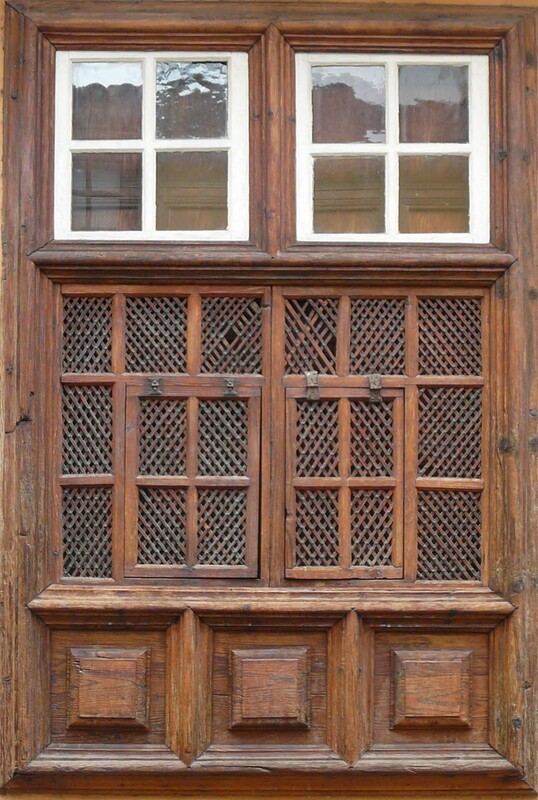 Later, many of these windows with lattices might have received a glass to protect the upper part from the rain. 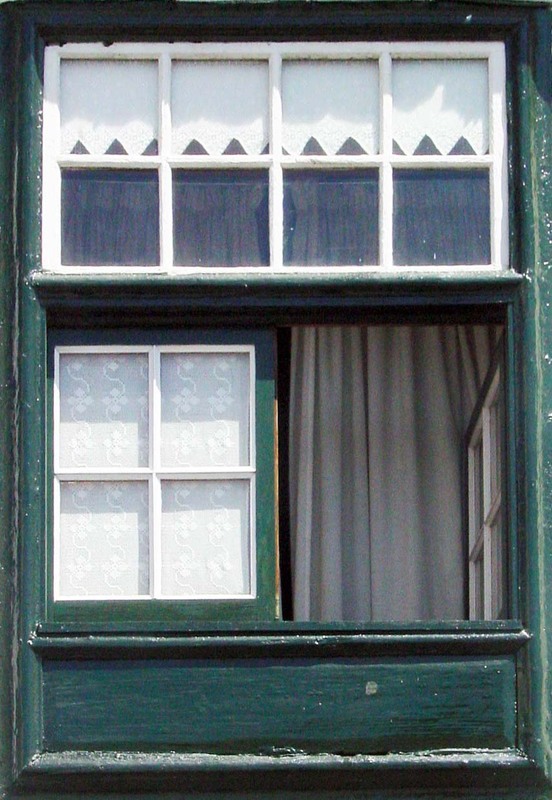 The most common window that has been maintained until nowadays has a glass on top, and practicable solid shutters in the central part. 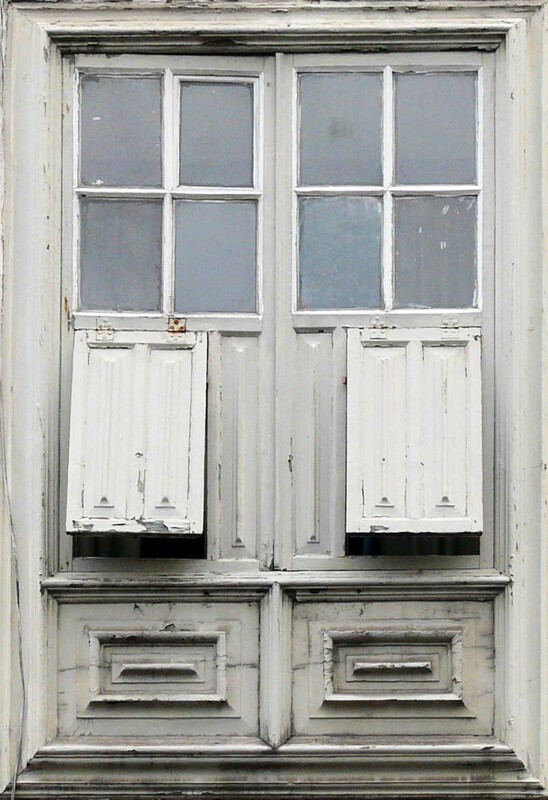 These movable leaves may also be practicable nested windows.An even greater level of control is provided by the variant in which the upper band can be closed with inner solid shutters. 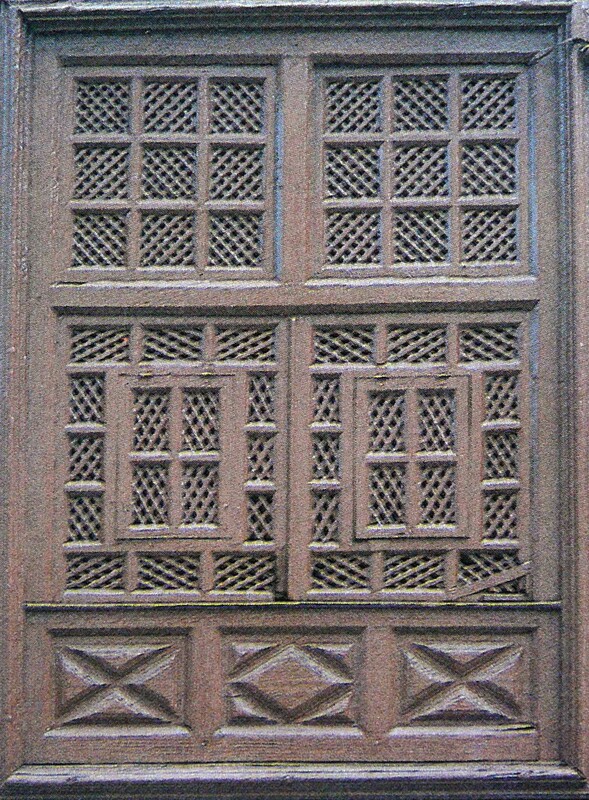 The appearance of glass elements in the central part is a greater level of protection of the inner space; it gains in water tightness but loses in ventilation. 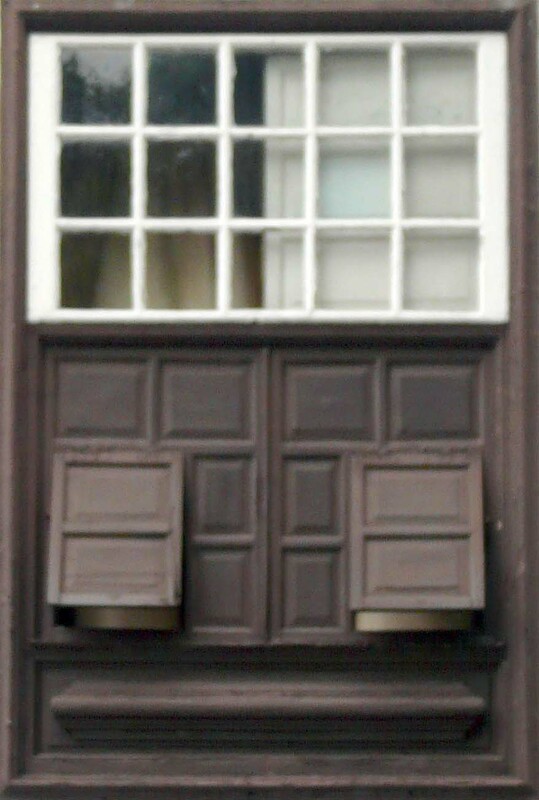 In some cases it seems clear that the glasses were added later on the original solid shutters. 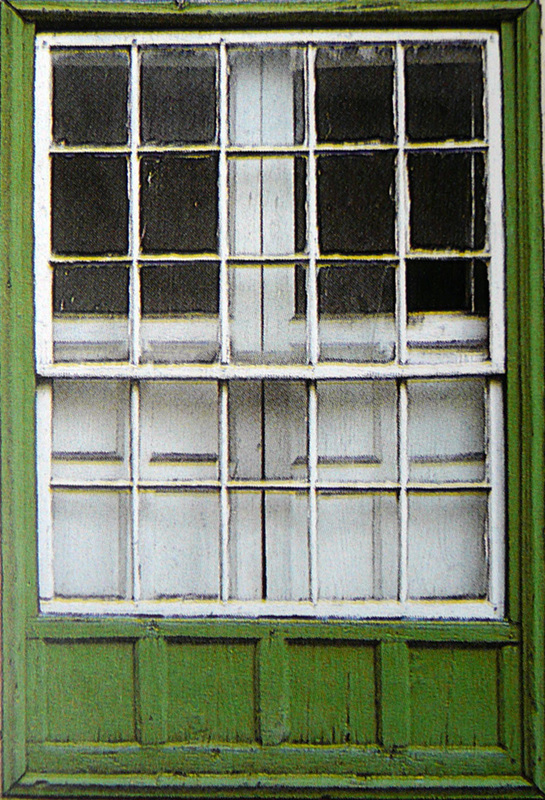 In some cases the central and the top area merge into one in terms of mobility of the leaves. 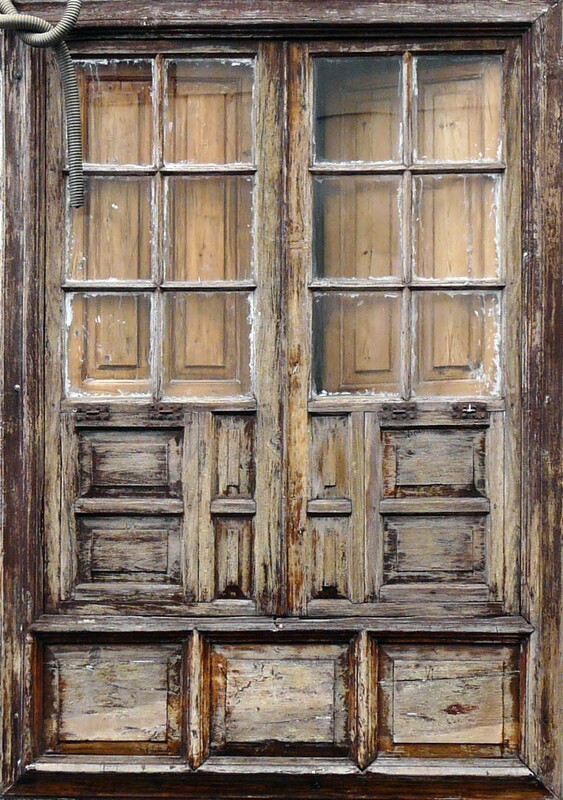 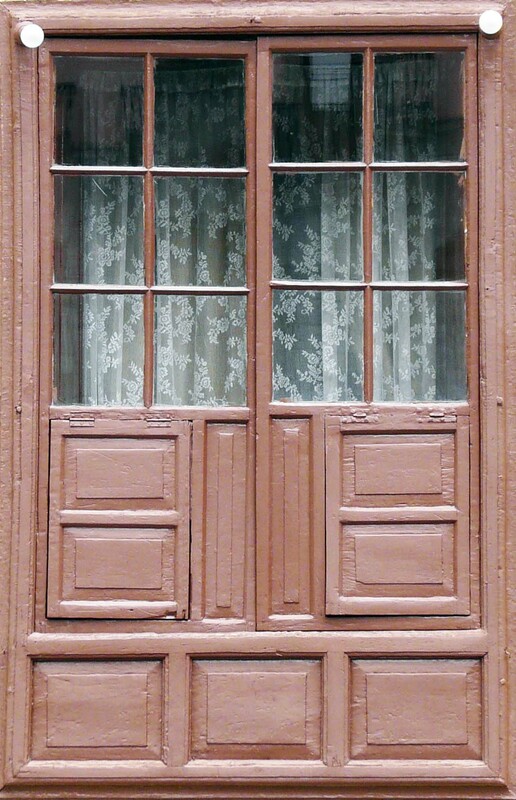 But in all the traditional cases the glazed part is the top one, while the central is opaque and equipped with the corresponding nested windows.The magnificent woodworks of the central photo are from the Benítez de Lugo’s house, in Orotava built in the late eighteenth century.Sash windows are common, especially in the Orotava, but I would say that almost all of them have been installed on one of the previous original solutions.